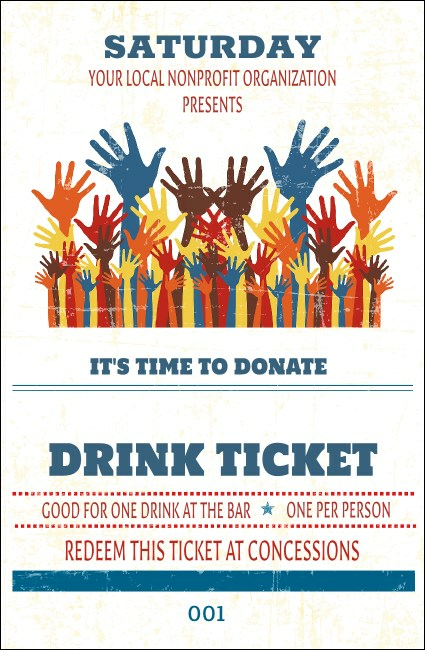 While you’ve got your hands full with your fundraiser, let your guests grab a drink and take the edge off when you give them Fundraising Hands Drink Tickets. These handy tickets feature a unique off-white background design, secure numbering, and lots of multi-colored helping hands stretched toward the sky. Find the right ticket to raise everyone’s spirit at TicketPrinting.com.